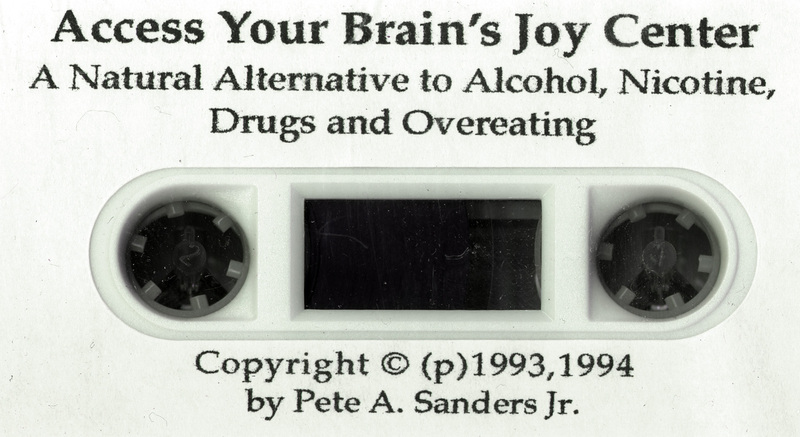 This is companion cassette tape to the book, Access Your Brain's Joy Center. An M.I.T.-trained scientist’s discovery of how to self-trigger the brain’s natural mood-elevation mechanisms as an alternative to alcohol, nicotine, drugs, or overeating to cope with life’s pressures and challenges. This method shows you how to clear any worry, hurt, anger, or fear. Imagine being able to feel better whenever you want. Imagine being able to control physical and mental/emotional pain. Think how your life would be different if you were unperturbed by hassles and always felt happy and in command of your destiny. These abilities can be yours. All you have to do is learn to self-trigger your brain’s natural mood-elevation mechanisms. This frontier is the herald of the twenty-first century and its promise belongs to you. This book will give you the keys to live that future potential today!